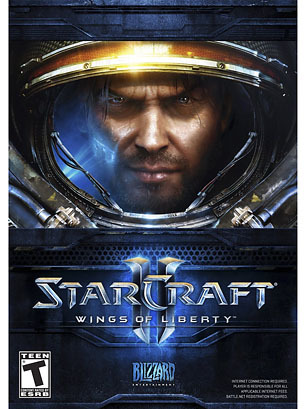 Good things come to those who wait, and boy, did we wait for StarCraft II: Wings of Liberty. Twelve years after the original game was released, we finally got to play as Terrans (humans), Zergs (alien slugs) or Protoss (alien psionic bugs) once again. The space saga follows the Terran story line as the Terrans fight off attacks from the extraterrestrials trying to take over. StarCraft II's game play has the right mix of old and new. It's easy to pick up  even if you haven't played the original in a while  and remains interesting and new. More important, this game focused on the multiplayer competition, which is what players loved most about the original. Here's to the real-time strategy game slowing down Internet connections everywhere so we can enjoy our LAN parties.